Some people have to deal with unsightly eye bags and sags. This particularly affects older people whose eyes are more prone to be puffy. There are several causes of eye puffiness and once the are identified and eliminated one does not have to worry no more. Furthermore, in case the problem repeats there are a few remedies that are highly effective in elimination of eye puffiness. 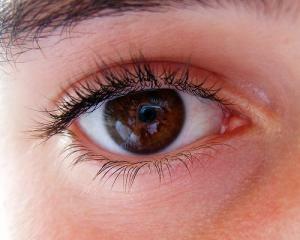 Eye puffiness affects women more than men. Even though the condition generally develops due to lack of sleep and intake of too much of sodium there are several more causes of eye puffiness. What are Common Causes of Eye Puffiness? Eye puffiness represents collection of fluid around the eyes, in the eyelids. The swelling of the eyelids is evident and is in many cases most intensive in the morning. In certain number of cases eye puffiness is hereditary. The problem can be inherited and it is estimated that people whose parents had puffy eyes are more prone to condition themselves. Furthermore, excess of intake (or intake in general) of tobacco and alcohol is associated with puffiness of the eyes. Eye puffiness also develops as a common problem related to the process of aging. Excessive intake of food rich in sodium and sodium in general is another potential cause of eye puffiness. The problem also develops under certain circumstances when the body withholds fluids (for example pregnancy and menstruation). Allergy to certain substances typically features with swelling and puffiness of the eyes. And finally, one more cause of eye puffiness is intake of certain medications. What is Effective against Eye Puffiness? The first thing one should do is to have plenty of sleep. Furthermore, it is essential to abstain from tobacco and alcohol. If one cannot abstain from these substances he/ she should at least limit their intake. One of the very effective means for eye puffiness is the cucumber remedy. Cucumber is highly efficient in case of eye swelling. Namely, this vegetable possesses anti-inflammatory properties. In order to achieve desirable effects cucumber must be first refrigerated. After certain period of time a cucumber is taken from refrigerator and cut in slices. Two thin slices are placed on each eye. They are left there for at least 15 minutes. The person is supposed to be lying during the entire process. After slices are removed the person should wash his/ her face and the results start to become visible within 15 minutes. One more way to avoid eye puffiness is to sleep with the head elevated. This prevents fluid accumulation that commonly occurs during night.